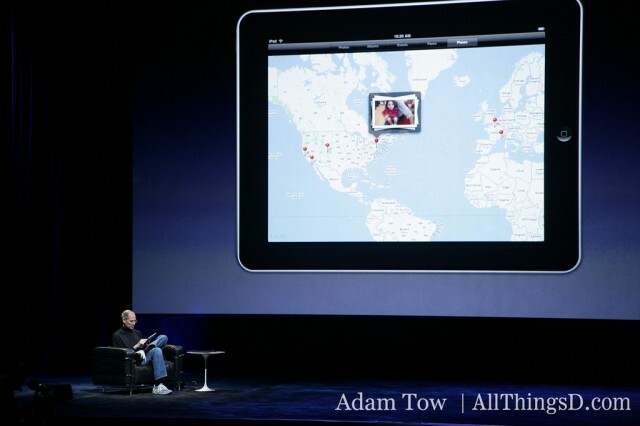 Apple is succeeding in the category because it reinvented it. Now anyone that hopes to compete in it must do so by peddling products similar to it. 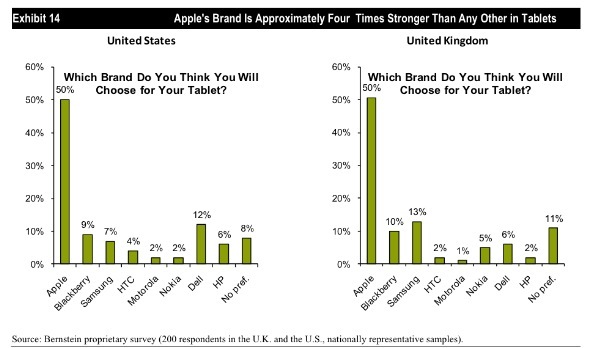 And because of that, Apple will dominate the tablet category in much the same way it dominated the portable music player category. So there is a tablet market, but it’s been subsumed by the iPad market, just as the MP3 player market was engulfed by the market for the iPod. In other words, success in the tablet market may well be dependent on how similar a manufacturer’s offering is to the iPad. Which is quite a challenge given the formidable combination of hardware, software and app ecosystem that the iPad represents — not to mention the sheer power of its brand. 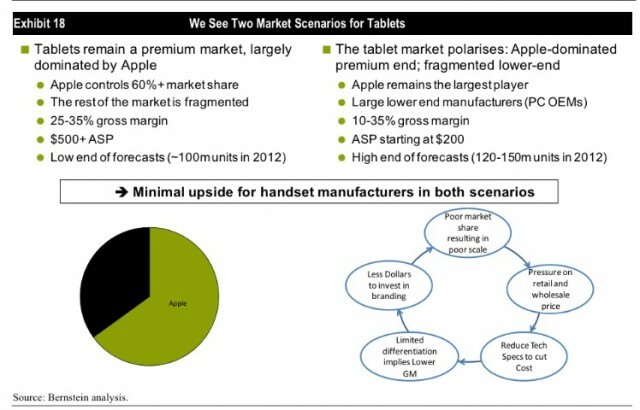 No surprise then that Bernstein sees the tablet market playing out in two ways, each with Apple in the catbird seat.